Anxious body language like ears back and tail tucked under, are sure signs that you have a nervous chihuahua. Does he stand behind your legs when out, run and hide behind a chair when you are home or bark and display aggressive behaviour? One of the main reasons that dogs become fearful is lack of socialisation. Your chihuahua should mix with people and vaccinated dogs from day 1 and not be kept in a bubble of isolation. Breeders have a lot to do with how your dog will turn out. The first 16 weeks of a puppy’s life are vital learning weeks and it is imperative, that by the age of 12 weeks, your dog has been handled positively by at least 100 people (not all in one session), met and played with other dogs and been exposed to a variety of different situations. Chihuahuas especially, prefer their own breed. So, getting them used to other breeds of dogs is essential unless you want your chihuahua to bark like crazy at every other dog they meet when you’re out for a walk. This is one of the reasons that you need to be very careful who you buy your chi puppy from, a good breeder will know this, a puppy farmer doesn’t care. However, if you are way past this stage and you need to re-habilitate a nervous chihuahua there are some things you can do. 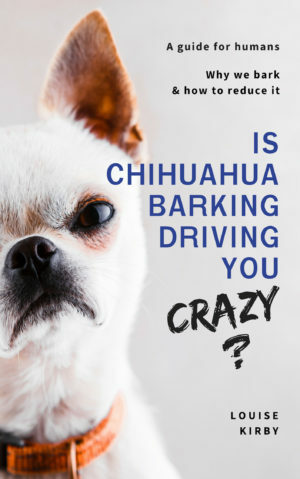 Firstly, if your chihuahua has been traumatised by a previous life experience, it is going to take time and a lot of patience to change his behaviours. You must be realistic about what you are going to achieve. If the distress is acute, it might be a good idea to speak with a dog behaviour expert who practices positive behaviour modification. But for less serious anxiety you can desensitise your nervous chihuahua. But, don’t be tempted to throw him into a middle of a situations that clearly terrify him and leave him to get on with it. This is not how to make things normal. Change needs to happen gently over time. Fear of other dogs is common for chihuahuas. Barking, growling and even attacking other dogs, is sadly, not uncommon. This is an aggression that comes from a place of fear. It leads other dog owners to understandably have a bad opinion of chihuahuas. The objective of distance learning is to take your chihuahua as near to the object of his anxiety as possible and stop as soon as he starts to show signs of fear, tail tucked under, ears flat. He may yawn or start to lick his lips which are also signs of stress. Move him back to a place where he was last relaxed but near his anxiety. Then, play with a favourite toy, praise him and give him some high value treats. The object of the exercise is to give your chihuahua positive associations with the object of his fear. But, be careful how you handle this. You are not trying to lure your chi towards his fear with the treat. He needs to get there over time. So, over several sessions gradually move in closer to the object. You are working towards a neutral reaction. No barking or aggression. If the object of fear is another dog, try and get a friend to bring a trustworthy dog to the park to work with you. One of the things owners do with chihuahuas is pick them up when a fearful situation is anticipated. If you do this, for instance, when another dog comes towards you then you’re re-enforcing your chihuahua’s idea that there is something to be afraid of. I know it’s hard, but you need to stop doing this. Either use the method above or teach your nervous chihuahua ‘focused attention’. You also need to be positive yourself. Your chihuahua looks to you for guidance, if you show anxiety then your chihuahua will pick this up. We live very close to Sandhurst Military Academy. Early morning artillery fire is very common. Both chis used to do vertical take-offs and bark like mad. We got past this by ignoring the noise and playing with them while it was going on. Now neither chi raises an eyebrow when it sounds like a war has broken out. So, simple situations that might start a round of fear related barking can be dealt with by playing and being positive while it’s going on. They will take their cue from you. Focused attention is the art of getting your dog to focus solely on you. To make eye contact with you. It should form part of your everyday training and is very useful in a variety of situations. Barbara has this down to a fine art with her chis Rosie and Joe. It’s so affective I sit down on command! 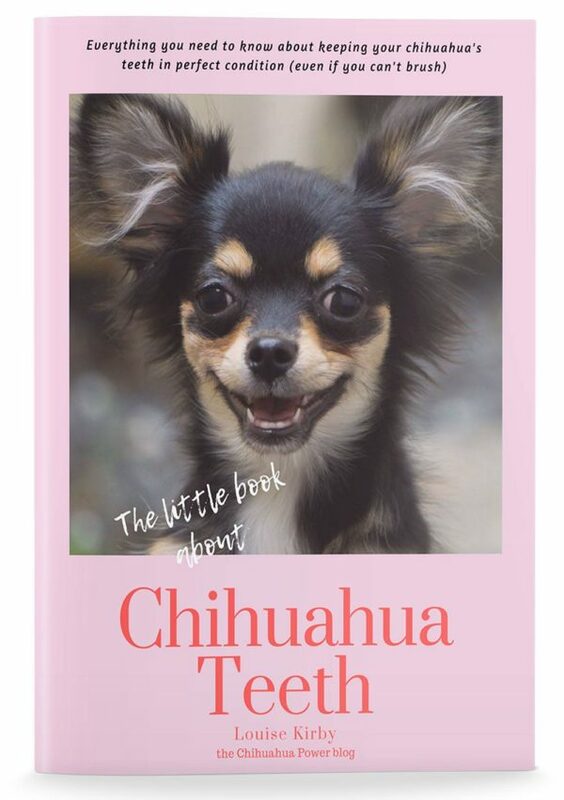 You can use this when you are out to get your chihuahua to focus on you in a stressful situation. By doing this you are taking his mind away from the object of fear. I use this with Mika in the park if a jogger comes past. It stops him chasing them and biting their ankles. Say your chihuahua’s name and when he looks at you, give him a treat. Sounds simple, but don’t let your chi see the treat before he has completed the command. Barbra says, ‘Look at me’ and taps her glasses. If he does not look at you to start with, give him a little tug on the ear or rub on the muzzle. Again, don’t use the treat to get his attention. The object of the exercise is for your dog to remain looking at you until you give him a release command. Practice 3 or 4 times in a row every day and build up the length of time you have your dog’s attention. Anyone who reads the blog will know I am not a fan of automatically spaying or castrating dog’s. Apart from the ethics involved it can cause serious behaviour problems. In male dogs, rather than make him less aggressive, as we are told, it can have the exact opposite effect. Removing his testosterone takes away his bravery and confidence. This is likely to result in a fearful, yappy chihuahua. If an owner is dead set on de-sexing their dog, then at least wait until the dog is mature. For a chihuahua this is about a year. Never buy a puppy that has been spayed by the breeder. That is far too young to undergo such a serious operation and you may end up with a dog with hormone issues as well. It goes without saying that you should never punish or shout at your dog for his anxiety. Even if you are getting frustrated with progress. Never use your chihuahua’s name in a negative way. If he has been naughty deal with the situation calmly and without drama. Praise and reward your chihuahua for making even the smallest amount of progress. 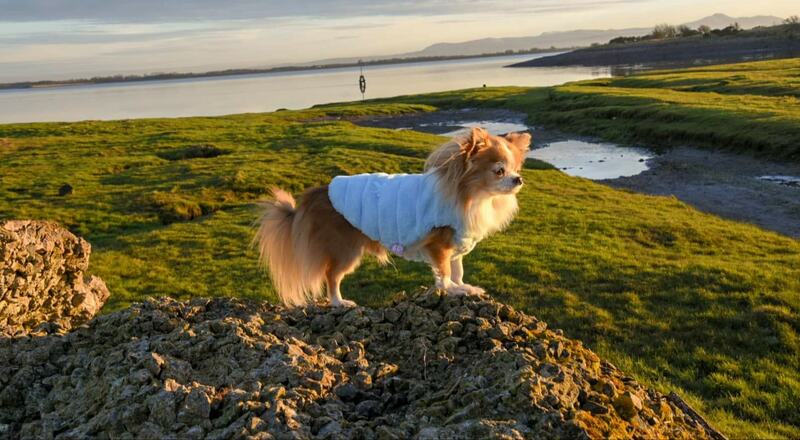 It does take time to turnaround a nervous chihuahua but with patience and understanding you can make a difference. Helping your chihuahua overcome nervousness is a big subject that can’t be covered in one blog post, we will be looking at more focused problems in the next post. Previous Post My chihuahua has diarrhea, what to do next? My chihuahua girl came into season for the second time just before she was a year old. Before I noticed her being in season her behaviour changed from indifference to humans to literally having a go at them. She is down to be spayed before her next season but I do hope that I am doing the right thing as there is no going back. Her aggression has calmed down but not her dislike of the human race but she’s good with children at least and NO one has hurt her! Having her spayed is not going to change her behaviour, in fact it could make it worse. If she is being aggressive and it is out of character then take her to the vet and check out she is not in pain. But, if she is being snappy it is more likely to be down to training. Look at when she is snapping at people, is it when you move her off the sofa, take stuff off her, try and get her harness on in generally try and get her to do things she doesn’t want to? If that’s the case then it’s training. Chihuahuas can be prone to this behaviour, she might have different ideas about who is the boss! Start to keep some records of when she is acting up and then a training plan can be put in place. My youngest Chi HATES my boyfriend! All he has to do is move and she’s yapping wildly and her hair stands up from her neck all the way down her back. This has been going on for three years now. I have asked him if anything happened while I wasn’t around to maybe contribute to this crazy behavior. He’s says no but I really wonder. My other two don’t act like that so why just the one?? I have to say I’ve considered moving out and getting her away from such a stressful situation. What can I do?